Since beginning his vision over 30 years ago he has lead the team to outstanding success, in not only the surrounding suburbs of Paddington, Red Hill, Kelvin Grove, Ashgrove through to The Gap, but in fact throughout Brisbane. The commitment to continual training, leading edge marketing tools, and fundamental business professionalism underpins the office success. A team of over 20 sales and marketing professionals strengthens the absolute result. A history of success. A track record of results. Exceeding your expectations! At Ray White Paddington, our agents deliver exceptional levels of knowledge and skills to help maximise the value of your property. 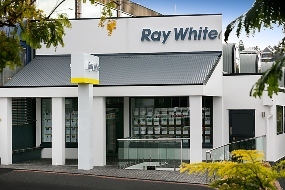 The ‘Ray White Know How’ is the reason we consistently outperform other agencies in the local property market. Make Ray White Paddington the first and last stop for all your property needs. We offer a comprehensive range of services—from no obligation appraisals to crafting a sales strategy to suit your requirements. Let us provide you with a seamless transaction, every time.